Three attachment points give the Triple Attachment Pulley a wide variety of connection options. A hot forged, rope friendly body is kind on textile equipment, while fairlead flares maintain efficient movement. Three attachment points allow the Triple Attachment to be rigged in a wide variety of ways, including off centre hanging to reduce wear on ropes. The pulleys side plates are angled away from the sheave, giving a reduced bend radius and increasing efficiency if the ropes run over them. 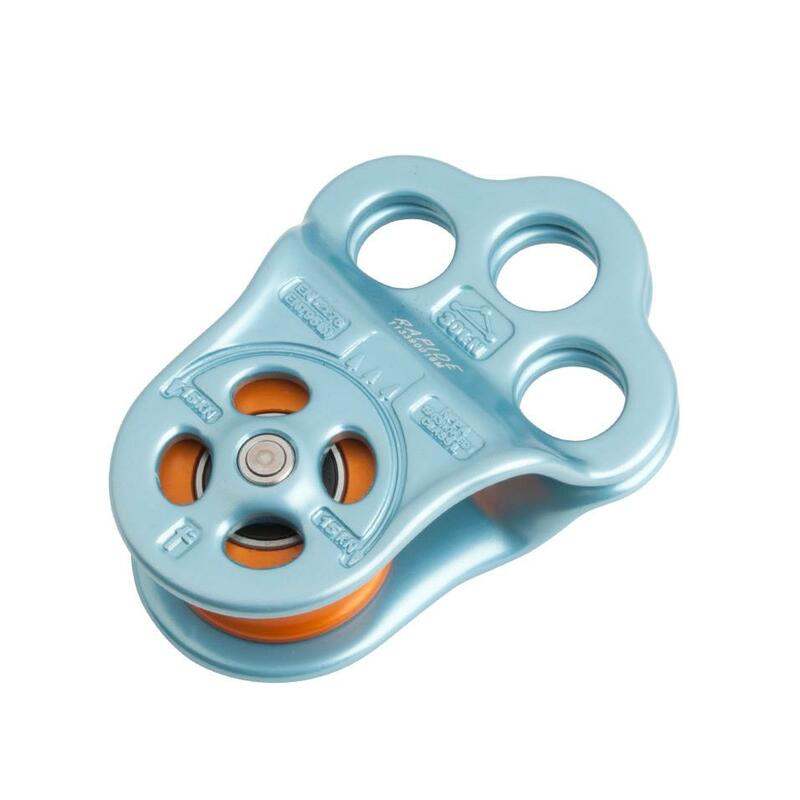 The pulley body is hot forged to reduce the number of edges on the pulley. This reduces the amount of wear ropes experience when they run over the pulley body. Stainless steel spindles increase pulley lifespan by resisting corrosion. © 2019 DMM International. All Rights Reserved.